New York is an advertising town. 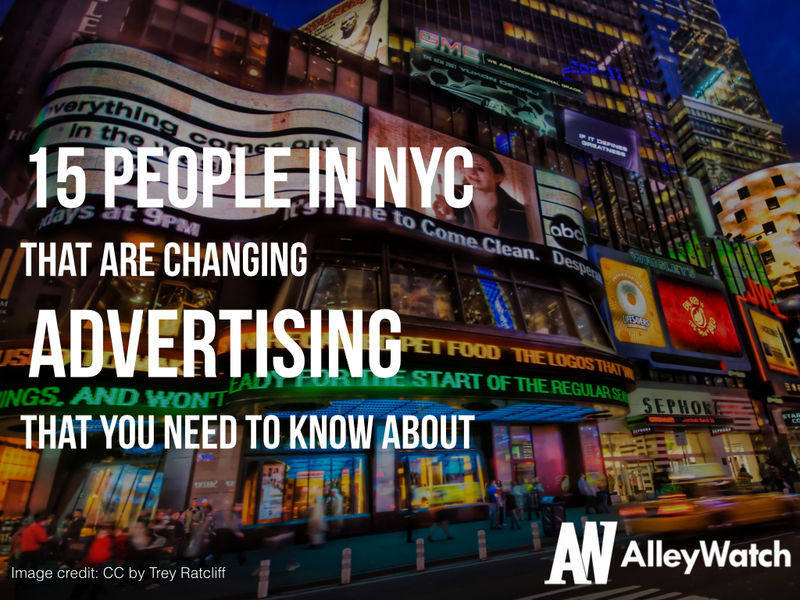 Always has been, and the way that the AdTech companies here are changing up the game, it may well always will be. And lest we forget, a number of the New York based adtech pioneers of the Web 1.0 days are some of the most prominent – and active – adtech investors of today. But this isn’t about them. This is about the people who are pushing the platforms and brands and the envelope right now. Get to know who they are and be nice. These may be the investors of tomorrow who just might write that check that funds the Big Idea. Founder’s note: AlleyWatch does not have a financial relationship with any of those included. This list is in no particular order nor is it a ranking. In fact, the =RAND() function on excel was used to determine order.